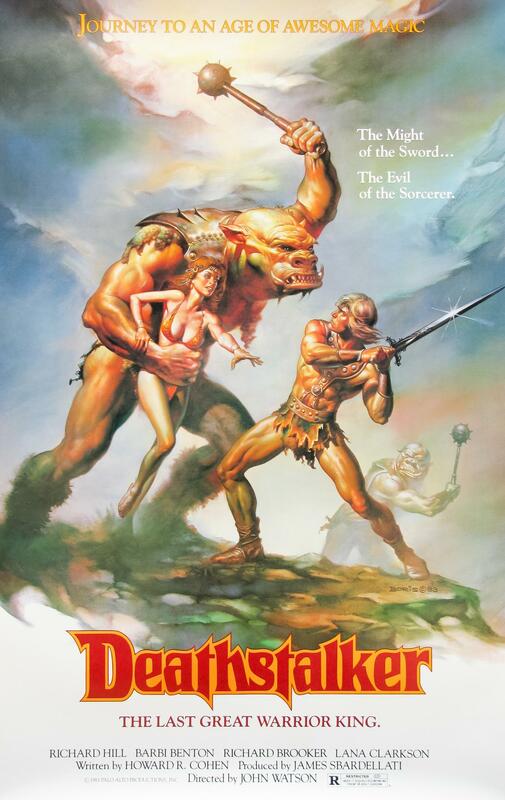 The 1981 film Dragonslayer is a fantasy sword-and-sorcery film. 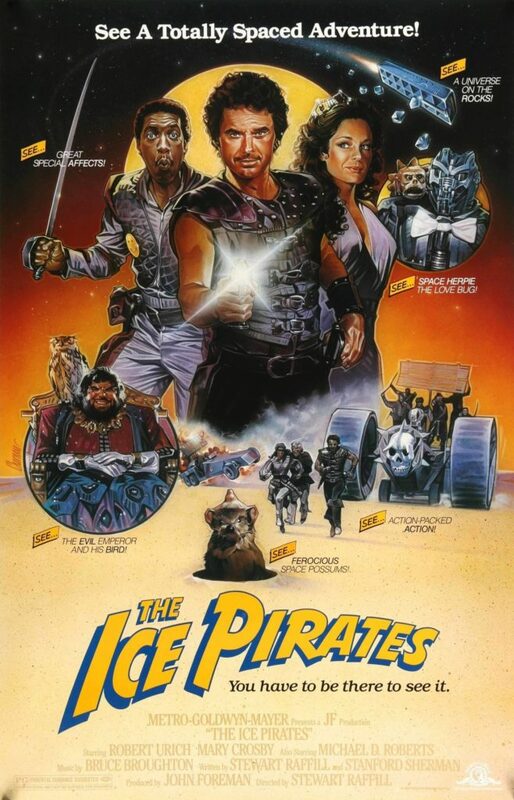 One of the highest-budget films in the genre in the entire 1980s, the film has since become a cult classic. 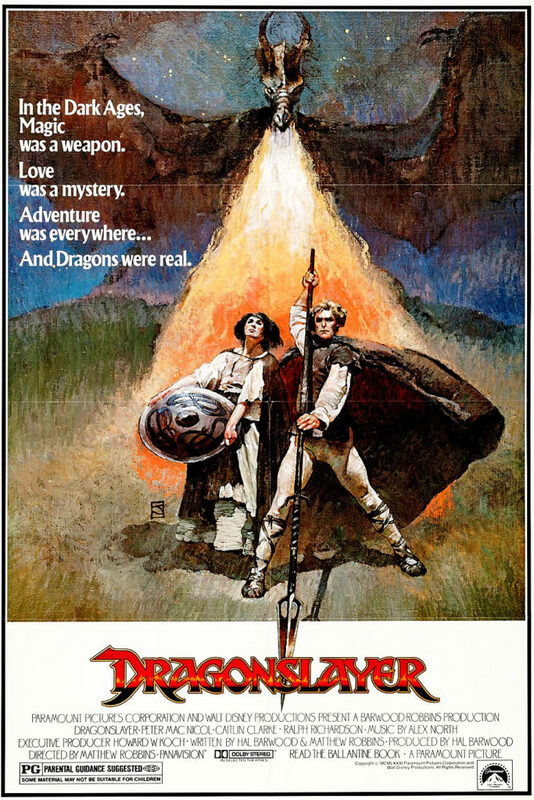 A delegation of villagers shows up at the castle of an aging sorcerer named Ulrich (played by Ralph Richardson), and begs him to kill the dragon, Vermithrax, that has been harassing their kingdom. Their current king, Casiodorus Rex, has made a pact with the dragon by supplying a virgin to be eaten by him – and in return, the dragon will refrain from burning their lands. The king finds a virgin from the kingdom by means of a lottery, but his daughter somehow avoids being drawn from the lottery each time. The boy (played by Caitlin Clarke) leading the delegation of villagers claims to know where the dragon’s lair is. The sorcerer agrees, but at the last moment the right hand man of the king, Tyrion, shows up and claims that Ulrich is a fraud. The sorcerer’s apprentice and aging assistant watch as Tyrion kills the sorcerer, whose magic is unable to prevent it. The sorcerer’s apprentice, Galen (played by Peter MacNicol) finds the amulet of the sorcerer and along with it gains special powers. After burning Ulrich’s body on a pyre, he follows after the delegation of villagers back to their kingdom, discovering on the way that the villager boy is actually a girl named Valerian, disguised in order to avoid being chosen for the virgin lottery. Using the amulet, he makes a landslide bury the opening of the dragon’s lair. The village throws a party, but Tyrion shows up and captures Galen. The king claims that Galen has not killed the dragon, but merely made it angry. He takes the amulet away from him, and Galen’s powers are gone. Galen is imprisoned, and King Casiodorus announces a new lottery to appease the dragon. Princess Elspeth (played by Chloe Salaman) learns that her father has been faking the lottery and keeping her name out of the draw. During the lottery, it is found that she has replaced all of the tiles with her name. The king, desperate to save his daughter, returns the amulet to Galen and releases him, pleading for him to save her. The Princess is chained to the offering stake, but Galen (armed with a shield of dragon scales made by Valerian, and a spear created by her blacksmith father) appears and releases her. Tyrion attacks him to prevent the princess’s escape, but Galen spears him. In the meantime, the princess enters the lair to sacrifice herself. Galen follows her but finds her killed by dragon babies, which he then kills. He attacks the dragon in the bottom of the cave, swimming among a lake of fire, but the spear breaks off and the dragon is only wounded. Galen and Valerian, realizing he has failed to kill the dragon, decide to leave the village. Wearing the amulet, he sees a vision in a lake that the sorcerer, Ulrich, wants his ashes strewn in the lake of fire. He returns to the lair, scatters the ashes of Ulrich on the lake of fire, reincarnating him. The sorcerer teleports himself to the top of a mountain, and battles Vermithrax the dragon. At the right moment, when the dragon is clutching the sorcerer, Galen destroys the amulet with a rock and the wizard explodes, killing the dragon. At the end of the film, the king appears at the corpse of the dragon, holding a sword to the charred neck, and declares himself a dragonslayer. Galen and Valerian ride on a white horse away into the sunset. 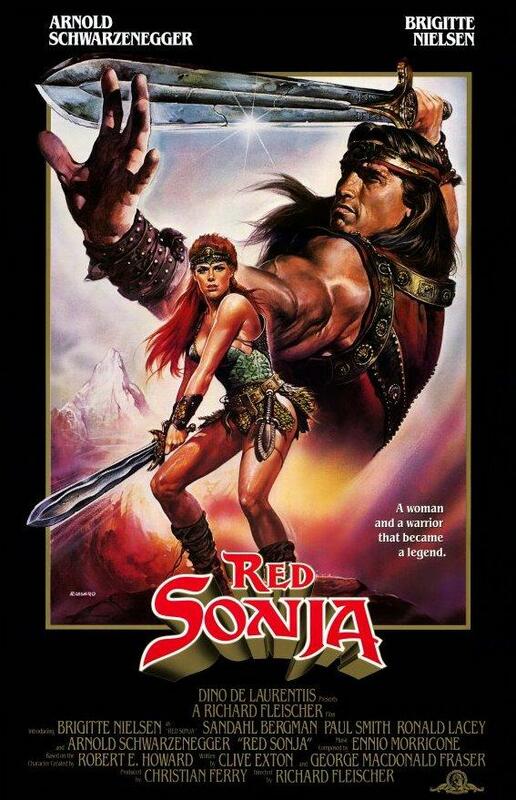 Although this film is one of the highest-budget sword and sorcery films of the 1980s, I think it’s one of the worst. Here’s why: the movie takes itself seriously. And this is the critical flaw. I love kitsch. I love irony. I love films like Hot Rod. But Dragonslayer is another monster entirely. The hero, played by Peter MacNicol, is one of the flimsiest and spineless characters I’ve seen, without even an idiot charm. He just has curly hair and a stupid smile, but he’s got a swagger and a punchable face that makes you wish Vermithrax chars him alive instead of the priest. The heroines are equally unlovable: trapped in a fashion vortex between the late 70s and the early 80s, there is no physical attraction and even less character attraction: just a couple of faltering girls wandering around. Let’s face it: most characters in this genre, male and female alike, are pretty one-dimensional. But they’re usually really attractive, really badass, or both. 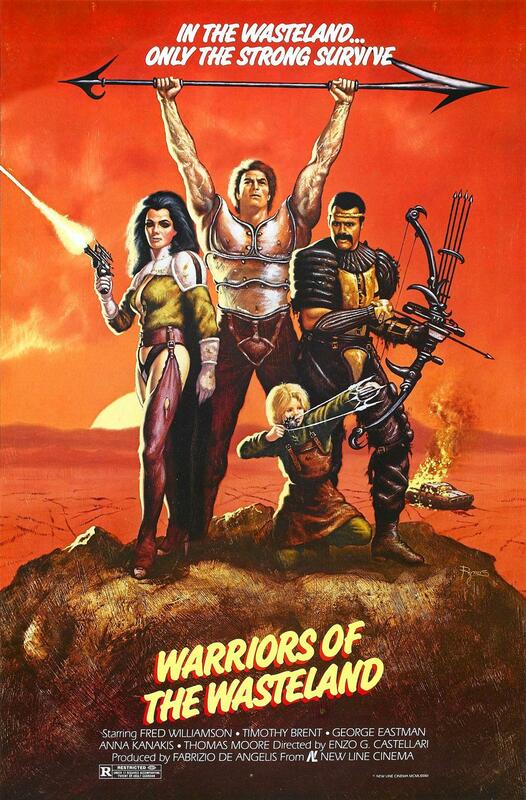 None of the characters in this movie are any of that. The best character is the ancient old wizard sidekick, played by Sydney Bromley. He’s awesome, and really old. 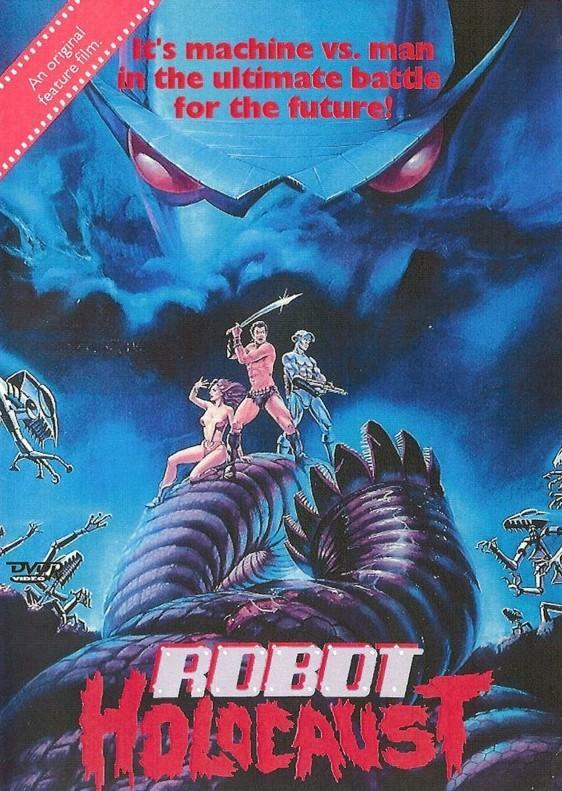 Plot-wise, the movie is derivative but that’s forgivable. It’s supposed to be the standard wizard-saves-village-from-dragon tale. The problem is that this movie is about an hour too long. The dragon should have been killed during the first attempt, which would save us from a lot of lackluster visual effects and green screened clouds in the last fifteen minutes.